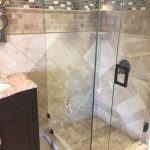 Glass doors can be tricky to fix which is why you need the best expert to repair it, American Sliding Doors Inc. is a reliable company whose mainstay is repairing any type of sliding door. We pride ourselves at giving the best and satisfying our clients’ needs when it comes to sliding glass doors repair. Glass Doors play a fundamental role in your home or office’s general look. They are energy efficient and allow you access to the outside scenery while you are going about your normal routine or just lying on the couch in your home and watching the beauty in nature we rarely pay attention to. Sliding doors require occasional maintenance to ensure their full performance. When they are not properly maintained, they end up dirty and lose their freshness. There are also outside elements that the doors have to constantly battle with each day. These elements often weaken the doors and lead to them not functioning as they should or they get broken. 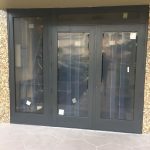 There surely won’t be tranquility of mind when you have a broken glass door in your home as your home’s security relies on having sound, practical doors set up. 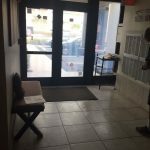 At American Sliding Door Inc. we offer emergency glass door repair services in Miami FL for residential and commercial buildings. With years of experience, our exceptionally talented specialists carry out their emergency glass door repair services with intent to re-establish your security. Wherever you are in Miami, give us a call and we’ll be there right away. Imagine a potential client walks into your fully air-conditioned office and tries to slide the doors closed but it wouldn’t budge. It creates an awkward situation especially when the client had seen someone recently exit without a problem. With us on your side, you can walk up to the client with a smile that says “don’t worry. 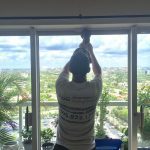 American Sliding Door Inc. got me covered anytime any day” and in the next minute, we’re truly there fixing it up. Whatever your emergency is, we will deal with it. From Accidental glass break, after break in emergency, Glass replacement, Landscaping, to French door glass inserts and more. American Sliding Door 24 Hour glass repair services entail comprehensive care. We deal with the broken glass within minutes, our trucks are set up with a wide range of glass Including, Laminated, Tempered, Plate, Commercial Door equipment. Mobile repair specialists are accessible 24-hours per day, seven days, and arrive outfitted with standard replacement materials. Any commercial or residential sliding door, so long it contains glass– it’s our specialty. Depending on the seriousness of the damage, our glass pros either repair or replace the broken parts quickly with new glass and tidy up the site to ensure nobody is harmed from a stray shard. Our expert’s direct repairs and replacements as indicated by our industry practices and give quality administration all the way for an unblemished serenity of your commercial or residential buildings. Regardless of whether you are in West Palm Beach, Miami or Pinecrest, in as much as you’re in Miami Florida, our trucks and specialists are on standby to deliver. 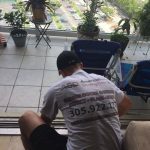 We’ll come to your home or office, evaluate your doors and give proposals regarding whether the sliding glass door can be fixed or should be replaced. Our Mobile service vans are all around, loaded with the vision that we can get the door repaired, replaced or installed as soon as we’re contacted. Contact Us Now! American Sliding Door Inc.